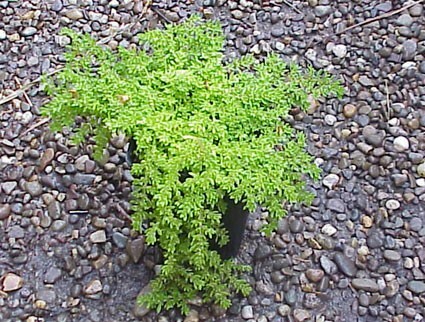 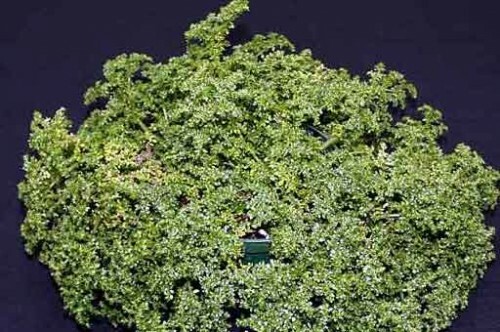 "Waterfall Fern" Prostrate succulent stems with tiny watery leaves create a ferny, weeping effect when used in hanging baskets; perfect for terrarium carpet. 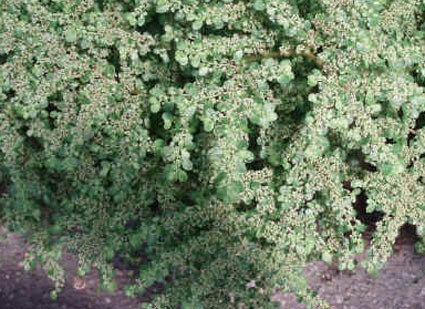 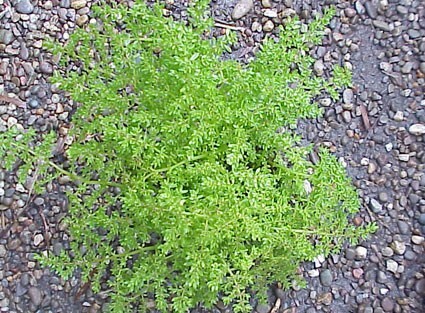 Due to waxy surfaced tiny leaves, the most tolerant of any finely lacy appearing plant of lower levels of humidity and of higher levels of direct sun. 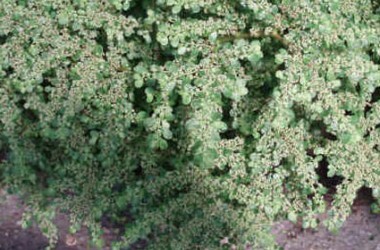 Very popular ground cover in Fairy Garden designs.